excel in this grace of giving." At LightHouse we believe that we are stewards of God’s resources because He is the owner of all that we have. Throughout scripture, we are reminded of the importance of giving back a portion of what God has so generously provided. His Word tells us that giving is an act of worship that should be done with a spirit of thanksgiving. We also recognize that Jesus talked more about giving than the subjects of heaven, hell, or prayer. In Matthew 6:21 and 24 Jesus says, “For where your treasure is, there your heart will be also…No one can serve two masters. Either he will hate the one and love the other, or he will be devoted to the one and despise the other. You cannot serve both God and Money. In Luke 6:38 He says, “Give, and it will be given to you. A good measure, pressed down, shaken together and running over, will be poured into your lap. For with the measure you use, it will be measured to you." LightHouse believes that we are mere stewards of what God has given us. Therefore, we see tithing as giving back what is God’s to God (and He lets us keep the other 90% to use appropriately). Any amount above 10% is considered an offering to God. This type of giving is over and above and should also be done with cheerfulness. Giving is a privilege. The storehouse spoken of in Malachi is what we consider the local church. By partnering our monies together, God’s work is done more effectively. Even Paul recognized this in the newly formed churches of the New Testament. He tells the Corinthians in 2 Corinthians 8:13-15, “Our desire is not that others might be relieved while you are hard pressed, but that there might be equality. At the present time your plenty will supply what they need, so that in turn their plenty will supply what you need. Then there will be equality, as it is written: "He who gathered much did not have too much, and he who gathered little did not have too little." 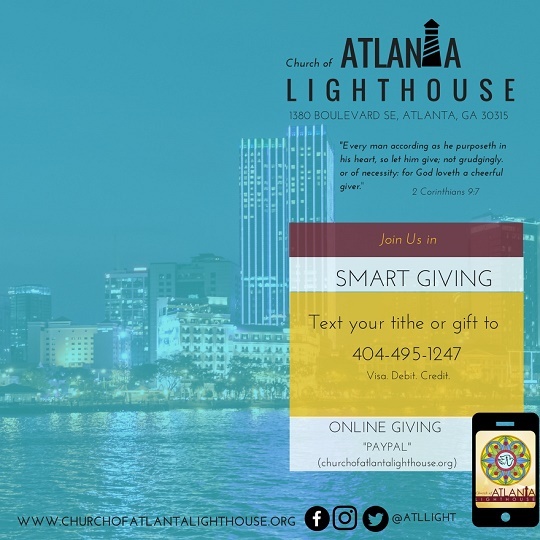 For your added giving or tithing convenience we now offer the option of Text giving!! You will then get a confirmation text.